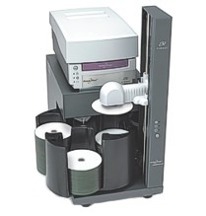 Often people get confused and cannot understand the difference between CD replication and CD duplication. Although both the processes lead to the creation of a CD with new contents, the processes are completely different. CD replication is a process of manufacturing new CDs where the data is embedded into the CD during its creation. CD duplication on the other hand is a much simpler process. In CD duplication, readymade blank CDs are copied with new information or data that is provided by a master CD. Thus every replicated CD is unique and has its own properties and is slightly better in quality than the duplicated CDs. Every duplicated CD is a copy of an original CD which means that every duplicated CD has the same properties of the master CD from which it has been created. A slight quality loss occurs during CD duplication which can be avoided if the master CD is of very good quality. CD replication services are suitable when the person or organisation placing the order requires more than 500 CDs, as a minimum number of CDs must be ordered when opting for CD replication. CD duplication on the other hand can be used when ordering for fewer CDs that are lower than 500 in number. Another point of importance is that CD duplication can be done without the required copyright and therefore people who are ordering CD duplication must be very careful and abide by the copyright laws as a breach of the law can put them in trouble. This entry was posted on Saturday, April 4th, 2009 at 8:43 am	and is filed under CD Duplication Articles, CD Replication Articles.